Arabsat 6A is a Saudi Arabian geostationary communications satellite. 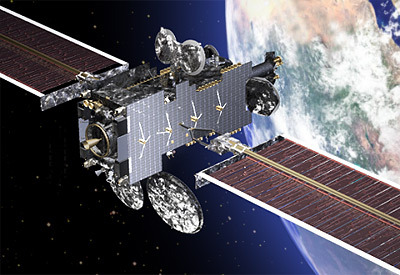 Arabsat and King Abdulaziz City for Science and Technology (KACST) announced in April 2015 contracts for Lockheed Martin to manufacture two A2100 communications satellites - Arabsat 6A and HellasSat 4/SaudiGeoSat 1. The contracts were signed April 9, 2015. Construction of the satellites will commence immediately and will be completed for launch in 2018. The satellite will be built on a modernized version of Lockheed Martin's A2100 bus, which builds on that flight-proven design with advanced innovations including propulsion, solar arrays and electronics. Arabsat 6A will be located at 30.5° East. The satellite is designed for a 15-year service life, and will be manufactured in Denver, Colorado.